An illuminated opening from the Chigi Codex featuring the Kyrie of Ockeghem‘s Missa Ecce ancilla Domini. We have underlined elsewhere, the importance of such collections of musical pieces as the Rossi Codex. Music that might otherwise have disappeared has been lost, is kept because it is included in a collection. There is a second copy, so to speak, that is incorporated in the compendium. Furthermore, a Codex provides an overview at the music of a certain period. The Chigi Codex is one such collection. The Chigi Codex dates back to between 1498 and 1503, and is therefore just a tad more recent that the Rossi Codex. Moreover, unlike the Rossi Codex it contains sacred music, masses mainly, five of which are set to a secular melody entitled L’Homme armé. As well, it was probably commissioned by Philip I of Castile. We should also note that the Chigi Codex originates in the Netherlands, a cultural hub during the early Renaissance. Moreover, like the Très Riches Heures du Duc de Berry, it is richly decorated, not by the Limbourg brothers, but in the workshop of the Master of the Hortulus Animae, in Ghent. As noted in Wikipedia, it is chatacterized by its “very clear and legible musical notation.”* and is a “nearly complete catalogue of the polyphonic masses by Johannes Ockeghem and a collection of five relatively early L’Homme armé mass settings, including Ockeghem’s.” The partitions it features are early Franco-Flemish sacred music. L’Homme armé is not the only secular melody to which a mass has been set. However, because some forty early Renaissance polyphonic masses have been set to L’Homme armé, five of which are included in the Chigi Codex, this aspect of early Renaissance polyphony piques one’s attention and imparts uniqueness to the Chigi Codex. The composers having contributed musical pieces to the Chigi Codex are listed in Wikipedia’s Chigi Codex, but we should provide the names of the five composers whose Masses on L’Homme armé are incorporated into the Chigi Codex. They are Antoine Brumel, Antoine Busnois, Johannes Ockeghem, Loyset Compère and Josquin des Prez (c. 1450 to 1455 – 27 August 1521). Josquin des Prez wrote two masses on L’Homme armé, only one of which is included in the Chigi Codex, his Missa L’homme armé sexti toni. 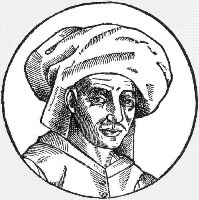 As for Josquin’s second Missa L’Homme armé, the Missa L’homme armé super voces musicales, it was printed by Ottaviano Petrucci (18 June 1466 – 7 May 1539) and is therefore an incunabulum, or very early printed music. It is difficult to trace the origin of L’Homme armé. It has been suggested that the “Armed Man” represents St Michael the Archangel. Moreover, musicologist Richard Taruskin has stated that the tune was a farourite of Charles the Bold, or Charles le Téméraire (10 November 1433 – 5 January 1477). Palestrina’s (3 February 1525 or 2 February 1526 – 2 February 1594) Missa L’Homme armé is not included in the Chigi Codex. It is featured in this post because it constitutes a later and particularly lovely example of polyphony on L’Homme armé. Composers have also set masses to other secular melodies: “Se la face ay pale,” “De plus and plus” and “Mille Regretz,” and other secular songs. 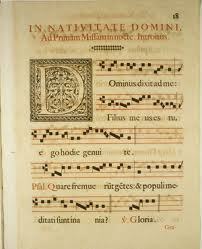 It seems an oddity that sacred music, the mass in particular, should be set to a secular cantus firmus. By and large, the cantus firmus, or melody, is the product of an inspired musical mind and if anything is borrowed, it is the text, as is the case with masses, psalms and so many liturgical musical compositions. As for composers of operas, they usually hire a librettist. Lorenzo da Ponte wrote the words (le livret) to Mozart’s The Marriage of Figaro (1786), Don Giovanni (1787) and Così fan tutte (1790). As for Beethoven, the choral movement of his sublime Ninth Symphony is a setting of a poem by Schiller: An die Freude. Setting masses to a secular tune therefore seems a topsy-turvy moment in the history of music, but it is not necessarily an easier way to compose a mass. In fact, composers who used secular melodies, such as L’Homme armé, to set words that were also dictated to them required inventiveness. The beauty of the cantus firmus plays a significant role in the composition of musical pieces, but the beauty of a musical piece also hinges on the manner in which it has been contrapuntally or harmonically set. Moreover, let us turn to Mozart’s, Beethoven’s and other composer’s Variations on a theme. “Ah ! vous dirai-je Maman” is very much a composition by Mozart. So are Beethoven’s Diabelli or other variations. In fact, the manner in which a composer develops a musical idea and incorporates a unifying theme, or leitmotif, or “idée fixe,” (Berlioz’s term) resembles the setting of a text to music. 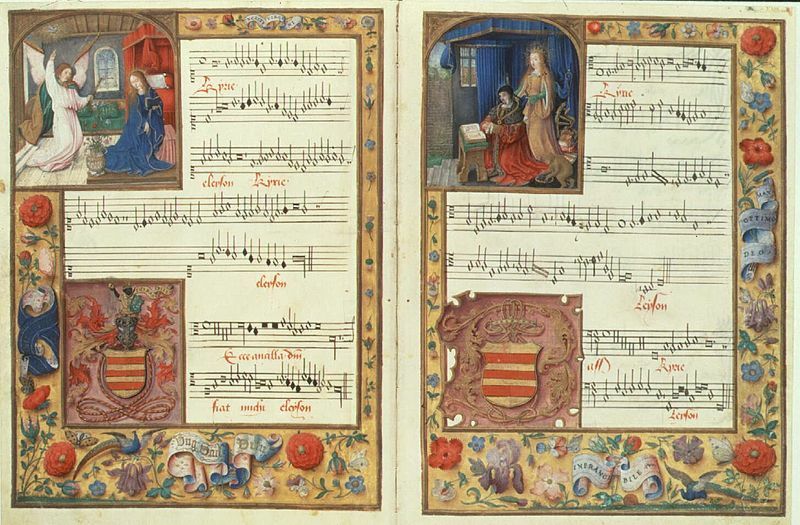 Using secular melodies to set a mass belongs to a period: the late Middle Ages or early Renaissance, but in no way does it preclude music’s foremost achievement, the expression of the sublime or the ineffable even where there may be words. Let us also think of Opera’s long list of librettists, starting with Lorenzo da Ponte to whom we owe the words to Don Giovanni (1787) and Cosi van Tutte (1790). For a list of librettists, please click on librettists. that it is housed in the Vatican as is the Rossi Codex. See: Herbert Kellman (Spring 1958). “The Origins of the Chigi Codex: The Date, Provenance, and Original Ownership of Rome, Biblioteca Vaticana, Chigiana, C. VIII. 234”. Journal of the American Musicological Society 11/1: 6–19.